As members and supporters of our vision for Fair Development, permanently affordable housing, jobs and a healthy environment, we are pleased to ask that you join us in lifting up the powerful 20/20 Campaign on May 13, 2017. People across Baltimore are uniting around a core belief and expectation that our City will invest in community driven development that meets our basic needs. Please mark your calendar and do not miss this historic event. Click here to RSVP! 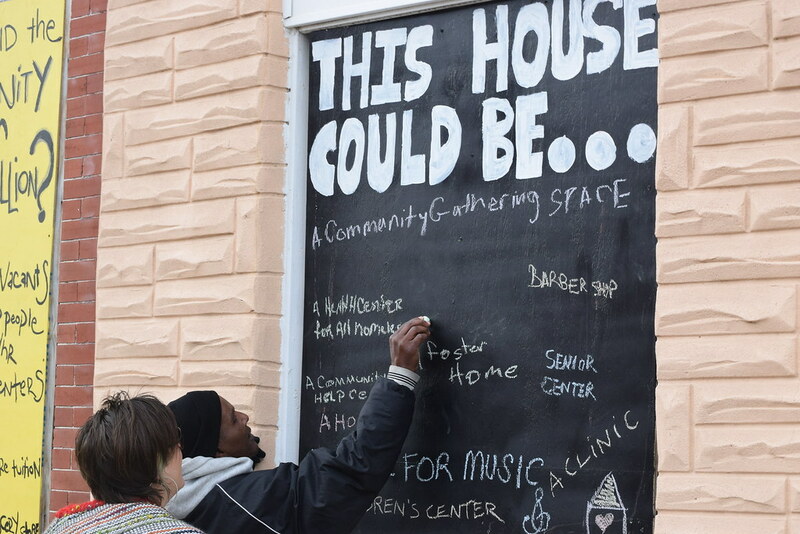 Youth and adults experiencing homelessness, artists evicted from living and work spaces, residents forced out by environmental injustice, renters struggling with substandard conditions, homeowners facing the crisis of foreclosure - these are some of the stories of displacement we live everyday. At the same time the creativity, passion and spirit inside us is creating another story - one of hope for housing, jobs and environmental sustainability. Join hundreds of residents and over 150 endorsers of the 20/20 Campaign including Unite HERE Local 7, SEIU 1199, Maryland Builders Industrial Alliance, Community Development Network, Chesapeake Climate Action Network, Baltimore's Chapter of the Sierra Club and Housing our Neighbors to call on Mayor Pugh and city leadership to adopt the 20/20 vision. Join us to demand that our city invest in living wage jobs, permanently affordable housing, and environmental sustainability.